Michael Kenner was driving down Main Street in Chattanooga when he saw the tips of sculptures peeking over the buildings that line the Southside thoroughfare. When he turned right on Holtzclaw Avenue and saw the building that stood there, he fell in love. In 1945, a young African-American boy in Hamilton County received a brand-new Bible for Christmas. His parents were poor, and the scriptures were his only present from them that year. Not only was the child being reared in poverty, he was growing up in a nation that was legally segregated. BTI Consulting Group has recognized Chambliss, Bahner & Stophel attorneys William Aiken, William Pickering and Justin Furrow as 2019 Client Service All-Stars. The annual ranking honors lawyers nominated by corporate counsel of Fortune 1000 companies and other major businesses. Aiken, Furrow and Pickering are among a group of 335 attorneys selected nationwide for delivering “incomparable levels of client service excellence,” Chambliss Bahner says in a news release. The Tennessee Court of Workers’ Compensation Claims this year is celebrating the 100th anniversary of the enactment of the Tennessee’s workers’ compensation law, and the public is invited to celebrate with them. The Chattanooga arm of the court will hold a centennial celebration at its office, 1301 Riverfront Pkwy., Wednesday, April 17, 11 a.m.-1 p.m. Guests are welcome to come and go as they please, as the event will be informal. Refreshments will be offered. Tennessee Realtors on March 18 awarded Greater Chattanooga Realtors the 2018 President’s Cup and Triple Crown awards during its spring conference in Franklin. GCR was recognized for exceeding its share of Tennessee’s political fundraising goal and surpassing their local participation criteria. Two real estate agents have hung their license at Better Homes and Gardens Real Estate Signature Brokers in Ooltewah. 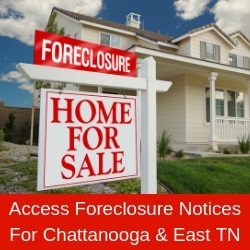 Bethany Lambert is new to the Chattanooga area and the real estate business. She is a client-driven agent who joined the business to help buyers find the home in which they will be creating lifelong memories. Homeowners looking to add personality and individuality to their home are more likely to undertake a do-it-yourself remodel than hire a professional, according to the National Association of Realtors’ 2019 Remodeling Impact Report: DIY. The report also shows that cash-strapped millennials are the most likely of any generation to take on a DIY project. As the residential building industry celebrates national New Homes Month in April, spring home buying season is well underway in the Chattanooga area. If you’re in the market for a new home, you might be wondering what features are popular for other homebuyers and which elements will make it onto your own must-have list. There was a time when it seemed like no one could make a good movie based on a Stephen King story. Recent adaptations of King’s work, including “Gerald’s Game” and “It,” have proven otherwise. In the right hands, King’s solid character work and talent for writing imaginative horror can provide the foundation for a fun and frightful experience. Forbes Magazine has named Morgan Stanley’s Will Hunt to its 2019 list of America’s Best-in-State Wealth Advisors. The ranking, developed by Forbes partner SHOOK Research, is based on an algorithm of qualitative and quantitative data, rating thousands of wealth advisers and weighing factors like revenue trends, AUM, compliance records, industry experience and best practices learned through telephone and in-person interviews. KultureCity has partnered with the Chattanooga Zoo to make the zoo and its programs, events and exhibits sensory inclusive. During the adaptation, medical professionals trained the zoo’s staff on how to recognize guests with sensory needs and how to handle a sensory overload situation. Parkridge East Hospital has introduced a sensory-friendly emergency room to better care for patients with autism or sensory sensitivity. The Chattanooga Roller Girls will open their 2019 season Saturday, April 13, at the Chattanooga Convention Center. The doors will open at 4 p.m., and the Chattanooga B-Railers take on Birmingham’s Tragic City Plan B team at 5 p.m. The Chattanooga All Stars will face the Tragic City Rollers at 7 p.m.